Every year when July 4th rolls around there’s a mass exodus out of NYC. Some city dwellers have great rooftops and some Brooklynites have backyards. For the rest of us, we need to leave the city to find some green grass and a grill. 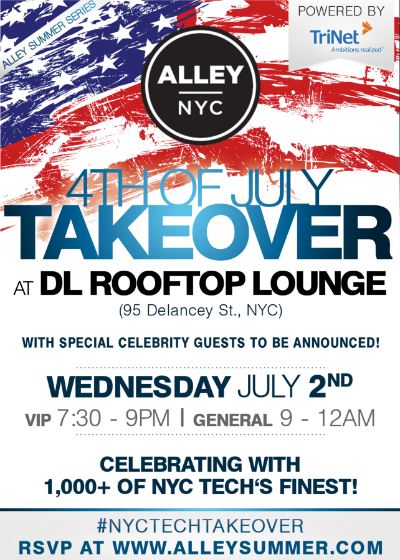 AlleyNYC, a local co-working space on the rise, recognized this and decided to throw a massive July 4th party on July 2nd, while New Yorkers are still around. When AlleyNYC hosts an event, they do it big. Billed as the #NYCTechTakeover, the party will feature the city’s top entrepreneurs, tastemakers, and celebrity guests. SquadUP is proud to team up as a partner, as well as having the event planned and ticketed on our event management platform. And we won’t forget leading sponsor, Trinet, for helping make this all possible. Patriotism is high right now with the World Cup taking over the sports world. That, plus the day we celebrate our nation’s independence and the great pleasures of BBQs and Budweiser, should ensure a rowdy and united crowd. 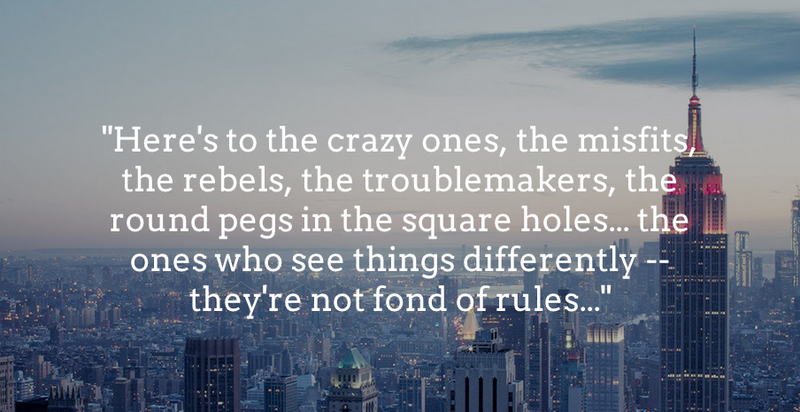 If you’re involved in the NYC tech scene, this event is to celebrate you (and America, but mostly you). It’s been a great year for Silicon Alley and it’s time to take a step back to appreciate what we each have done to contribute to this city’s tech emergence. The 1,000+ person party is sure to takeover the DL, so make your way to the rooftop bar as fast as possible. What: NYC Tech’s Finest for a blowout 4th of July party! Who: Tech all-stars, celebrity guests, and YOU! The 4th of July party on July 2nd kicks off the 2014 AlleyNYC Summer Series. It’s going to be an unforgettable summer. Don’t miss out! DC, Here We Come! First Stop: Fairgrounds.